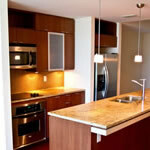 Wood countertops are used in sleek contemporary designs, rustic styles and older homes. Materials come from a wide variety of hardwood species, including dark woods like black walnut, medium hued woods like mahogany, and blonder woods like oak and ash. An increasingly popular choice is bamboo, which is is harder than oak and is considered a green building material because it is a fast growing species. 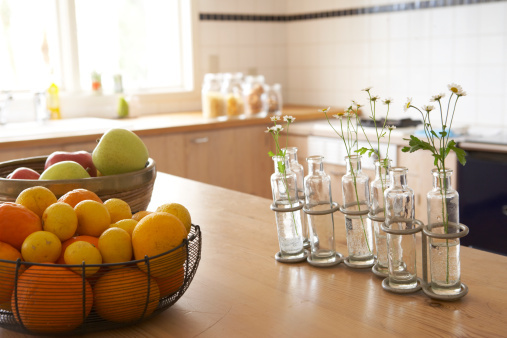 Some wooden countertops rely on the natural grain or wood pattern to accent the design, while others are milled to look like giant butcher blocks. 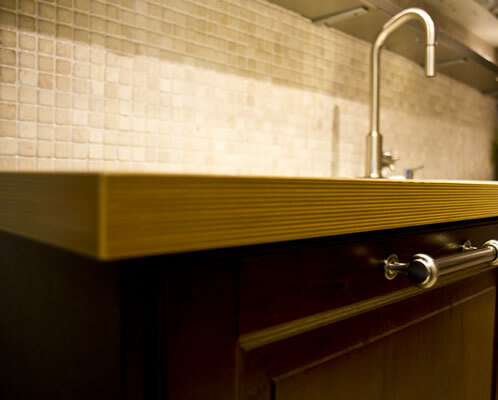 Custom countertops might also incorporate inlays of other woods to match design features found elsewhere in the home. 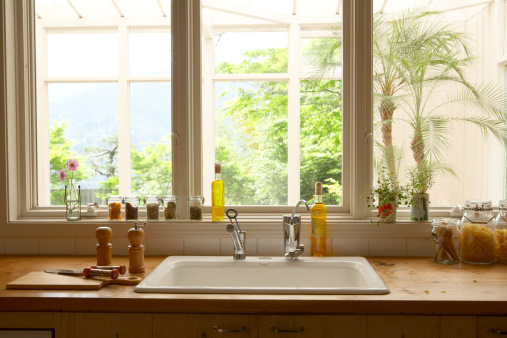 Certain oils or finishing products can be used to protect the wood. 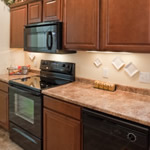 One concern that is often raised is that over time wood can show signs of wear. 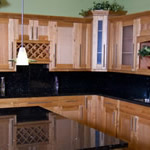 Wood can be distressed prior to installation, so that knicks or scratches during years of use will just add character. Nothing says "class" like marble countertops in the kitchen and bath. Observe how different colors, finishes and other design elements can vary the effects from this beautiful stone.